As an example, higher levels of oil are often required when testing drilling mud, drill cuttings or water samples prior to going to the oil/water separator. If drill cuttings are to be disposed of via land application or overboard, there are limits on hydrocarbon levels depending on the disposal choice. 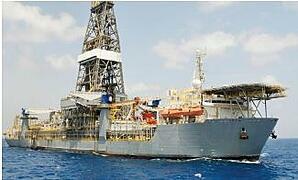 The large amounts of drill cuttings produced in off-shore drilling require meeting an allowable limit on total petroleum hydrocarbons (TPH) for ocean disposal. The North Sea currently has a 1% limit. Transporting cuttings to shore is labor intensive, costly and could cease due to bad weather. Limit requirements also must be met for on-shore disposal or reuse. In a second example, flowback and produced water from a hydraulic fracturing site must be cleaned up before it can be reused or disposed of. Even after separating the water and oil it's important to test the remaining water to determine the oil content for regulatory compliance. 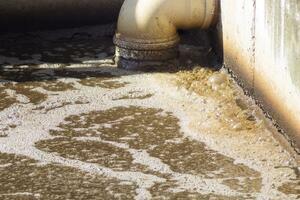 Industrial applications often have high levels of fats, oils and greases in effluent water. It is estimated that 23-28% of Sanitary Sewer Overflows (SSOs) are due to Fats, Oil and Grease (FOG). With significant growth in the commercial food sector on top of other high FOG producing industries such as metal processors, meat packers, cosmetic manufacturers and industrial laundry establishments, the need for publicly owned treatment plants (POTWs) and industries to regulate and monitor FOG is crucial to public health. Besides clogged sewer lines, high FOG levels also disrupt the effective operation of a wastewater treatment plant. An important feature of any FOG program is locating and monitoring high oil and grease producing industries and food service establishments. 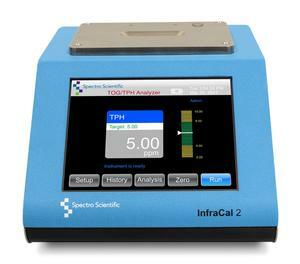 InfraCal TOG/TPH Analyzers provide a simplified procedure for FOG analysis based on solvent extraction and infrared absorption which can give the regulator or operator an on-site result in less than 10 minutes. Now these waste streams can also easily be tested even when the fat or oil content is up to 10%. This new capability fits with our philosophy of ease of use. To learn how the process and how to carry out a measurement please check out our new procedures for measuring high levels of oil, fats and greases in water and in soil.